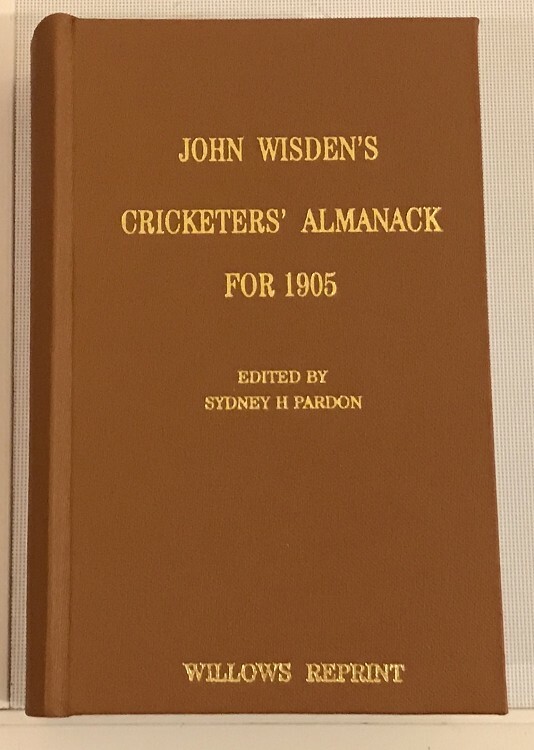 Download our Wisden iPhone or iPad App - Most books arrive next day. Wisden.Auction have teamed up with "The Nightwatchman"
Bidder or Seller? Sign in for your status. Mail this listing to a friend! Click HERE to show full size image. Click on a picture to enlarge or download file. Just a few left in stock. RRP was £60/£65 , reduced for 6 months as part of the Willows Transition to WisdenAuction.Com. You must sign in to make a purchase. Copyright © 2019 WisdenAuction.com. All Rights Reserved. No part of this web page may be reproduced in any way, or by any means, without the prior written permission of WisdenAuction.com.